stores in the UK and Ireland. We are trade specialists but all retail customers can expect a warm welcome from our experienced and knowledgeable staff. We stock a huge range of parts for all makes of car and light commercial vehicles, whether you are looking for original quality or a cheaper budget version you can be sure of a great parts and great discounts; in many cases up to 50% off main dealer retail prices. Our vast range includes typical service parts such as spark plugs, oil and filters as well as more technical clutch and engine management sensorts. We also carry many of the world’s top brands such as Brembo brakes, Boge shock absorbers, and Bosch wipers blades at low, low prices. Over 75 stores throughout the UK and Ireland. Dedicated mail order team with next day delivery and free carriage on certain order values. Dedicated trade deliveries and sales. 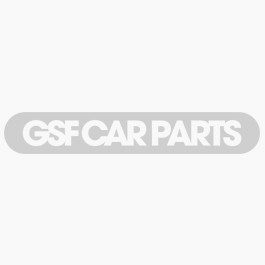 GSF Car Parts really began back in the 1970s. Today’s business brought together in April 2000 by the German & Swedish Management Team stems from a number of long standing car parts specialists such as Vee Wee, Autocavan, Andyspares, and URO Automotive. Since the formation of GSF Car Parts in 2000, the company has developed a parts and distribution portfolio to create the UK’s largest independent parts supplier. Today, GSF Car Parts employs over 1000 people covering all of the UK as well as Ireland. We operate over 70 stores and over 400 GSF delivery vans. 1977 - Stan West, founder and owner of GSF Car Parts started business in one half of a tumbledown shed in a corner of a Battersea salvage yard. He called his business VeeWee. 1981 - Wholesale suppliers Kontinental Auto Werke (KAW) buys VeeWee and Stan joins the Management team. 1987 - German and Swedish is established by Stan and his business partner, Maurice Forde. 2000 - The company acquires Andyspares, adding French car parts to the range and is renamed German Swedish and French. 2000 - GSF also acquires Autocavan and URO automotive. 2003 - Hans Motors joins GSF Car Parts and sells all makes parts to other factors. 2005 - GSF adds an all makes range of parts to its specialist inventory and becomes GSF Car Parts. 2006 - TDCS is bought by GSF Car Parts enabling industry-leading diagnostic equipment sales. 2006 - Branch opened in North Dublin. 2009 - GSF Car Parts complete several branch refurbishments and upgrade the whole company's stock criteria. 2010 - GSF Car Parts sign up with several leading garage equipment providers and offer a market leading garage equipment solution to support the existing diagnostics business. 2010 - GSF Banbury, Leeds East (Regional Distribution Centre), Worcester, Letchworth and Kettering are opened. 2011 - GSF Bristol (Regional Distribution Centre), Middlesbrough, Gloucester, Bedford and Rochdale are opened. 2012 - GSF Barnstaple, Finchley, Oxford, Shrewsbury, Milton Keynes, Torquay and Basingstoke, Harlow and Taunton are opened.